Overview of the major manufacturers of tablet computers. How to choose a tablet computer? A few years ago the word "tablet" was associated with many expensive luxury appliances, owners of which could become extremely wealthy people. It is fair to say that today such as tablets iPad, Asus or Samsung many still can not afford. But, fortunately, now have a choice, and become the owner budget gadget functional characteristics which are often not inferior to brand-name counterparts, can practically everyone. The most important difference from the cheap expensive models is, of course, price. Often it is several times lower than the hyped brand brother. And there is even pluses. Given that the technique is almost constantly radically updated, low price allows you to enjoy themselves annually novelties. Worth considering that the cheap tablets, such as the firm Impression, released mainly in China, so they have their own specifics. And sometimes disadvantages. And if you are going to purchase is an inexpensive option, they also need to consider when buying. For example, not all cheap tablets have access to the store Google Play, the screen is often not the best quality. And one more feature, which is worth paying attention to. On this plate, as a rule, the default is listed in Chinese, but in order to establish Russian, often requires additional professional help. 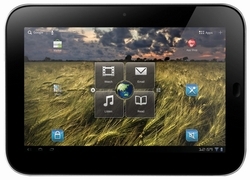 Whichever tablet you choose to buy - the elite class or inexpensive, it should possess a number of important qualities. And there are a number of features that are sure to look for when buying. Let's look at some of them. What should be the screen. 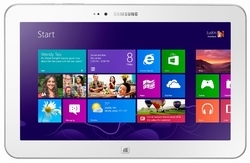 Touch the surface - it's practically the face of the tablet, so the picture should be bright and contrasting. Size may be different - you choose it yourself, based on the purpose for which you need this device. Most importantly - it must be sensitive to touch. Tablets are considered the best type of technology IPS. Ideally, if the resolution is at least 1024 × 768. The most popular screen sizes 7 and 8 inches. Perhaps this is the most optimal value. If the display - face device, the processor - his heart. It can be a single-core and dual-core. 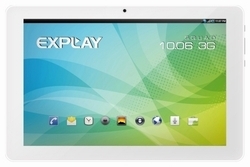 We recommend to look for the second - the speed of the tablet will be significantly higher. The processor of at least 1 GHz will simultaneously solve using the gadget several tasks: for example, listen to music and browse the files. As for memory, it is important to know that the system uses about 500 MB. So RAM for normal work with audio and video files must be at least 1 GB. Ideally, if the tablet will have an additional slot for SD. While the device depends on the type of battery, so you should choose a tablet with a powerful battery. If you, for example, an amateur video chat on social networks, then the purchase of the tablet sure to choose a gadget that is equipped with not only back, but the front camera. I should say that ideal quality pictures and videos made by the tablet, you are likely to get. He has a slightly different problem. Pay attention to the ports and inputs. There should be at least three. A slot for SD, as well as USB and HDMI (the latter is used to connect to a TV) and Bluetooth Modules WiFi today are equipped with almost all the plates. But the built-in 3G modem device will significantly increase the cost of the gadget. 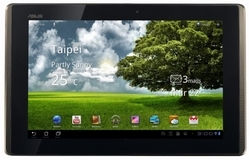 Think, these tips will help you make the right choice when buying a tablet. Should take into account all the nuances and modern compact device always at hand, you will be truly free and mobile.